When the term “superfood” was first coined in the early 80s, it referred only to foods that were so nutrient dense, so nutritionally complete that they, by themselves, had all the nutrients necessary to support a healthy life. By that definition, very few foods were truly “superfoods”. Today, every fruit & vegetable that has been deemed nutritious is a “superfood”. The term has become virtually meaningless. Many manufacturers of chlorella break the cell wall because it is a hard, fibrous cell and difficult for the human digestive tract to properly break it down for assimilation into the body. 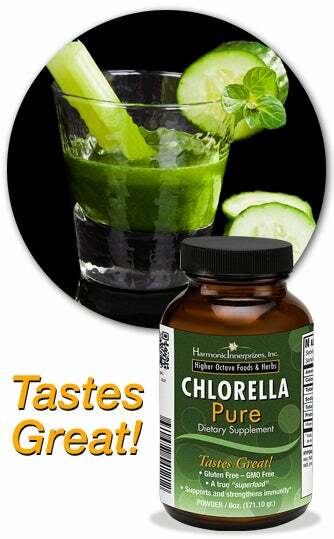 But it is that same property that makes chlorella such a powerful agent of heavy metals. * Breaking the cell may increase digestibility*, but you sacrifice some of its powerful detoxification properties in the process.